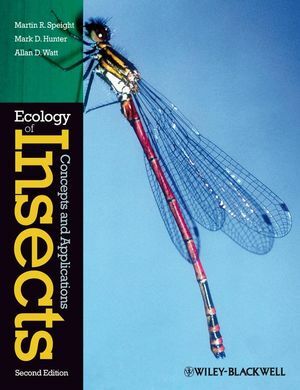 Fully revised and updated to include new topical study areas, the second edition of the successful text the Ecology of Insects provides a balanced treatment of the theory and practice of pure and applied insect ecology. Fully updated and revised throughout, this new edition refers to primary literature and real world examples. To access the artwork from the book, please visit: http://www.blackwellpublishing.com/speightinsects. Martin Speight is Reader in Zoology and Head of the Tropical Ecology & Entomology Research Group at the Department of Zoology, University of Oxford. His research interests range from rainforest and plantation entomology, biodiversity and conservation, to coral reef and mangrove ecology and management. Martin is also a Tutorial Fellow in Biological Sciences at St Anne's College, Oxford. Mark Hunter is Professor of Ecology and Evolutionary Biology and Professor of Natural Resources and Environment at the University of Michigan. He studies interactions between insects and plants and is interested in linking population dynamics to ecosystem processes. Allan Watt is Deputy Science Director of the Biodiversity Programme at the Centre for Ecology and Hydrology, Edinburgh, UK. His research interests include the conservation of biodiversity and the management of forest pests. 1. An Overview of Insect Ecology. 5. Natural Enemies and Insect Population Dynamics. These files are stored in a ZIP archive. If your computer is not capable of opening ZIP archives, you can download a trial version of WinZip at WinZip.com.